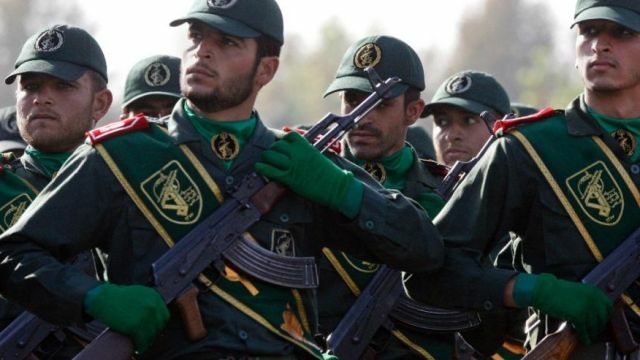 On April 8, President Donald Trump designated Iran’s Revolutionary Guards as a terror organization marking the first time United States has formally labelled another country’s military a “terrorist group”. This action of directly targeting a sovereign nation’s military formation is unprecedented and the last time a military formation of a sovereign state was declared a criminal organization was Nazi Germany’s Waffen-SS for its involvement in war crimes and crimes against humanity at the Nuremberg trials. Iran was hardly expected to stay quiet and in return, it designated the US as “state sponsor of terrorism” and US Central Command – CENTCOM and all related forces as “terrorist groups”. While many questioned the timing of this action on the eve of Israeli polls which have now ensured an unprecedented 5th term for Benjamin Netanyahu making him the longest serving after Israeli nation founder Ben Gurion; this is just the tip of the iceberg. Let us start by understanding the role of Iran’s Revolutionary Guards. They were established by Ayatollah Khomeini in 1979 as a paramilitary organization charged with safeguarding the revolution against the imperialists. However, today IRGC has become Iran’s most powerful economic, political, ideological and military conglomerate that controls 20-40% of Iran’s economy and more than 1/6 of its GDP. IRGC’s annual profit is estimated to be around $15 billion. Apart from ideological indoctrination and popular mobilization, IRGC has financial interests in pharmaceuticals, pipelines, construction, Oil & Gas and the financial, banking and telecommunication sectors. In short, it is omnipresent in Iran and developing along the lines of the Chinese PLA which is involved in many business enterprises. The IRGC’s wealth serves three important goals. First, it generates revenue to finance the IRGC’s military activities – including the nuclear and ballistic missile programs at home and sponsorship of terrorism abroad. Second, it offers IRGC a network of legitimate companies, enterprises, banks, offices, holdings, and joint ventures that can execute the regime’s procurement efforts for advanced weaponry and sensitive technology. Third, it generates personal affluence, which the Guard can translate into political influence. IRGC has its own ships, aircrafts and logistical infrastructure to facilitate imports and exports and exercises control over Iranian borders including airspace, seaports, airports and other land infrastructure. IRGC has been directly responsible for Iran’s nuclear and ballistic missile program. Its lethal Quds Force is tasked with carrying out unconventional warfare and intelligence activities throughout Middle East and beyond and has regularly provided weapons, training, funding and guidance to groups targeting the United States. Through the Quds Force and IRGC’s proxy Hezbollah, Iran has successfully waged war against ISIS in Iraq and saved Syria for Assad apart from wreaking havoc in Yemen and Lebanon. Considering its independence from parliamentary or governmental oversight with accountability only to Iran’s Supreme Leader, IRGC can be considered extremely powerful and dangerous. While Khomeini was Supreme Leader, IRGC was powerful but still low-key. Post Khomeini’s death, the next Supreme Leader Ali Khamenei has not enjoyed the larger than life status of his elevated predecessor. This gave IRGC significant room to spread their wings. Their growth peaked after Mahmud Ahmadinejad came to power who was an IRGC veteran. After that, IRGC gained significant political entry and there was no going back. Important contracts citing national security started going to IRGC and any separation of executive and military ceased to exist. In 2013, Iranians elected the pragmatic and highly respected Hassan Rouhani as President who was the head of Iran’s nuclear negotiation team. President Rouhani promised to reform the Iranian economy, bring about a nuclear deal, ensure the removal of sanctions and open Iran to the global community. He also promised to bring transparency in the Iranian economy, end the monopoly of special groups that had killed competition in Iran and promote privatization. In short, IRGC’s control over Iran’s strategic and other sectors would be at risk. While he did not go to war directly with IRGC, many contracts given to them were cancelled in a clear sign of what was to come. Things became heated as there was no way IRGC would relinquish its status of a state within a state that controlled the economy easily. President Rouhani was unable to completely fulfil his economic agenda but still enjoyed support from the citizens. This made IRGC old guard extremely uncomfortable and they started arresting dual citizens, journalists and businessmen under espionage to create an environment of distrust of the government. They also continued attacking the government for its soft stand in signing JCPOA. Now we come to the question of timing. As stated above, IRGC is only accountable and answerable to the Supreme Leader. In our previous article we wrote extensively how a significant part of Iran’s economic institutions have been handed over to Iran’s Supreme Leader in the guise of privatization through the Execution of Imam Khomeini’s Order (Setad). When the assets of Setad and IRGC combine they make up almost 50 % of Iran’s GDP. It is also evident that any significant reforms by the civilian government to weaken IRGC will not be possible as it enjoys the unequivocal support of the Supreme Leader. However, as we often say Life is what happens when we are busy making other plans and the terminal illness of Supreme Leader Ali Khamenei is bringing interesting dynamics to Iran’s succession plans. After the firebrand Ayatollah Khomeini, the succession post Ayatollah Khamenei will be a major shift and create a perfect opportunity for the complete takeover of Iran by IRGC. Such a situation will create an ideological military dictatorship in the largest resource-rich country of the Middle East that considers United States and Israel as their arch nemesis that must be destroyed at all costs. More so, it will further more chaos and unrest in an already volatile region where Russia already seems to be gaining at the cost of the United States. Let us also discuss the other dynamics in the region that have prompted this action. The United States is furthering cooperation with Saudi Arabia and doing its best to include it with the NATO led alliance to maintain strategic superiority in the MENA region. We can easily witness the increasing Saudi Arabia and Israeli rapprochement in this context. The two nations are being pushed together in the supposed pretext of a common enemy-Iran that wants to emerge as the undisputed player in the Middle East. This theory is completely laughable as everyone knows that Iran has been reeling under sanctions and while it remains a country with resources in excess of billions of dollars, it is in no position to actually go to war or maintain a sustained war in the region. If anything the current threat to US/KSA interests in the region stem from Turkey under President Erdogan. He is on a mission to rekindle Turkey’s Ottoman glory and is cleverly using Muslim Brotherhood as democratization tools to achieve his goals. Qatar which is now Saudi Arabia’s nemesis is supporting the Brotherhood movement which directly threatens Saudi eminence in the region. Saudi Arabia need time to achieve its 2030 Industrialization plan where it can continue to remain a powerhouse capable of supporting US interests in the region. Thus, this action by President Trump not only buys Saudi Arabia time but also allows Iran to prepare for creating the rise of the Shia militia which will aid to the further balkanization of the Middle East in lines of Israel’s Yinon Plan. The Yinon Plan was a continuation of the Sykes-Picot strategy of redrawing the Middle East. It refers to an article in February 1982 by Oded Yinon, a former advisor to Prime Minister Ariel Sharon in the Hebrew Journal Kiyunim titled “ A Strategy for Israel in the 1980’s” published by the World Zionist Organization. The plan called for the balkanization of countries around Israel on the sectarian Sunni-Shia divide to ensure regional superiority for Israel with Iraq as the main challenger. The plan states that the subsequent balkanization would ensure weaker states post a divided Iraq, Lebanon, Egypt, Libya and Syria. Further divisions of Iran, Turkey, Somalia and Pakistan also make up parts of this plan. A decade later in 1996, a Zionist study group led by Richard Perle wrote a paper entitled ‘A Clean Break: A New Strategy for Securing the Realm largely rehashing Oded Yinon’s essay, and adapting the same strategies to the contemporary geopolitical landscape of the Middle East. Interestingly, the US Military Armed Forces Journal in 2006 published post division maps that were widely circulated. Former US Vice-President Joe Biden in 2006 called for the soft partition of Iraq into a Kurdistan, Shiastan and Sunnistan under a big, weak Iraqi umbrella stating, “The idea, as in Bosnia, is to maintain a united Iraq by decentralizing it, giving each ethno-religious group – Kurd, Sunni Arab and Shiite Arab – room to run its own affairs, while leaving the central government in charge of common interests. We could drive this in place with irresistible sweeteners for the Sunnis to join in, a plan designed by the military for withdrawing and redeploying American forces, and a regional nonaggression pact”. The Yinon Plan also suggests a final solution to Israel’s Palestinian problem by completely annexing West Bank and pushing the Palestinians across the river into Jordan to establish a state. Now when we examine this with moving the US Embassy to Jerusalem, recognizing Golan Heights as Israeli territory and Prime Minister Netanyahu’s election promise of annexing West Bank if elected and put it in context of Jared Kushner’s Middle East Peace Plan which proposes economic incentives and land swaps such as “Jordan giving land to the Palestinian territories, in return, Jordan getting land from Saudi Arabia and the Saudis getting two Red Sea islands from Egypt” to eliminate borders as they are today to guarantee freedom of movement of goods, people, opportunity and religion; things start making a lot more sense. Interestingly, Kushner also considers Iran the biggest threat to peace and instability in the reason and what he means is Iran has been able to hold off Syria, Iraq and Lebanon division for very long and also empowering Russia which means that action against Iran must be taken. It is obvious to anyone that the true power in Iran rests with IRGC and by this designation; United States has the power centre. For the EU, these sanctions are nothing short of a clear message by Trump to behave and control its ambitions. Trump has reduced the Oil & Gas options for EU showing what he thinks of France and Germany’s ideas of creating an EU army. Significant Chinese investments in Iran have also been checked and China’s refusals to abide by these sanctions will only further Cold War 2.0 with the China-Pakistan-Turkey axis gaining prominence. Interestingly, any divisions in Middle East will need Russian cooperation and this is a smart game that US is playing with the Sino-Russian marriage of convenience. For India, this will present a critical foreign policy challenge. It has strategic investments in Iran’s Chabahar Port along with investments in International North South Transport Corridor. US needs India as a strategic ally in Asia and it will be interesting to see how well India will be able to play its cards in minimising its losses. There is no doubt that US actions of designating IRGC as a terrorist organization smack of hypocrisy. If the US was serious about eradicating terror, it would not choose to be in bed with Saudi Arabia which is the kingpin of the brutal ideology. It is an open secret that most 9/11 attackers including the mastermind Osama Bin Laden came from Saudi Arabia and found refuge in Pakistan which was its crucial ally in fighting the war on terror in Afghanistan. What these actions do clearly show is there are no permanent friends or enemies and no room for emotions or ethics in geopolitics. A country is only as strong as its projected power and the minute it brings morality into the question; hard choices however uncomfortable cannot be made. For India, this should serve as a valuable lesson considering the new found Indo-US camaraderie that the US will always only consider its interests and India would be well advised in pursuing its current multipolar alignment strategy and leverage its importance to the US for its strategic interests and nothing beyond. India has already lost too many years and opportunities by siding in the Soviet camp. Things were perhaps different then but the world’s largest democracy and top 5 nominal and PPP economy needs to chart her own course.